Featuring a gracefully arched headboard with inset detailing and tapered legs, the Somerset 4-in-1 Crib from Delta Children is a sweet addition to any nursery. Designed especially for safety-minded parents, this strong and sturdy crib is JPMA certified, and built to Delta Children's exacting standards of quality, design and longevity. 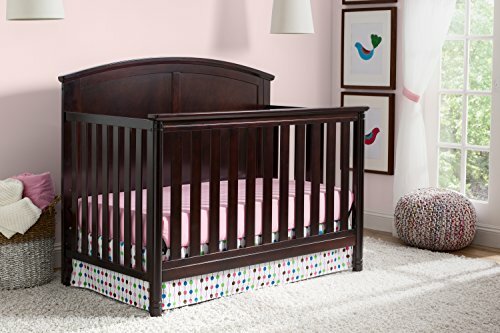 Outfitted with three mattress height positions to adapt with your growing child's needs, this crib makes shopping for baby simple-it easily transitions to a toddler bed, daybed and full size bed too (Daybed rail included; Toddler Guardrail and Full Size Crib Conversion Rails sold separately).